A caravan of Central Americans seeking asylum reached the San Diego border with Mexico on Sunday and are being told to prepare for the worst. California lawyers warned the migrants, who are fleeing violence in their home countries, that parents may be separated from their children. Shaken but undeterred, one migrant told The Washington Post, "If they're going to separate us for a few days, that's better than getting myself killed in my country." Central American migrants, part of a caravan moving through Mexico toward the U.S. border, gather at a makeshift centre of Mexico's National Institute of Migration to register, in Matias Romero, Mexico April 4, 2018. 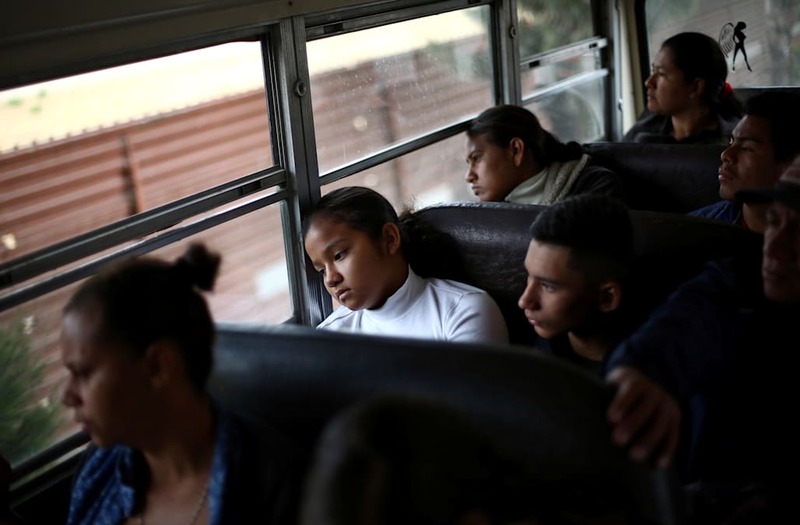 Central American migrants, part of a caravan moving through Mexico toward the U.S. border, are seen after spending the night at a sports centre in Matias Romero, Mexico April 5, 2018. Migrants were also told they could face detention and be placed in freezing holding cells. President Donald Trump and his aides consider the caravan a threat to the U.S.